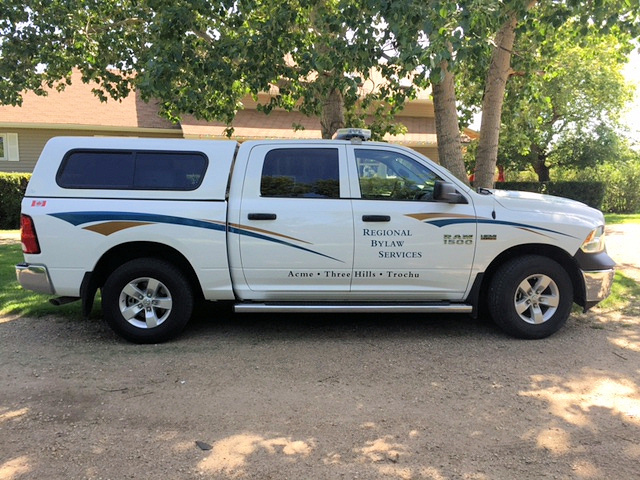 Bylaw Enforcement patrols the community of Three Hills, the Officers roll encompasses both the education and the enforcement of Bylaws. Municipal Bylaws are created to address the issues and concerns of residents as well as to protect their safety and health. This program is a regional collaboration between the towns of Three Hills and Trochu, and the villages of Acme and Linden. Further the Bylaw Enforcement Officer works as a liaison between other Enforcement Agencies such as the RCMP and Kneehill County Peace Officers. For More Information on Bylaws please follow the link.